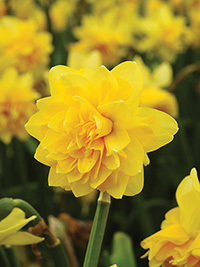 A new release bred from Tete a Tete with all its great features, plus it's a double. Flowers vary from a filled trumpet to a very full double. Early flowering, 20cm.